I always try to wait until it's actually December to start unleashing the Christmas- and holiday-themed ephemera. So here we go! This vintage postcard was mailed in either December 1916 or December 1918 (the postmark difficult to read). Kenneth and Dorothy wish a Merry Christmas to Millie of Collingdale, Pennsylvania. 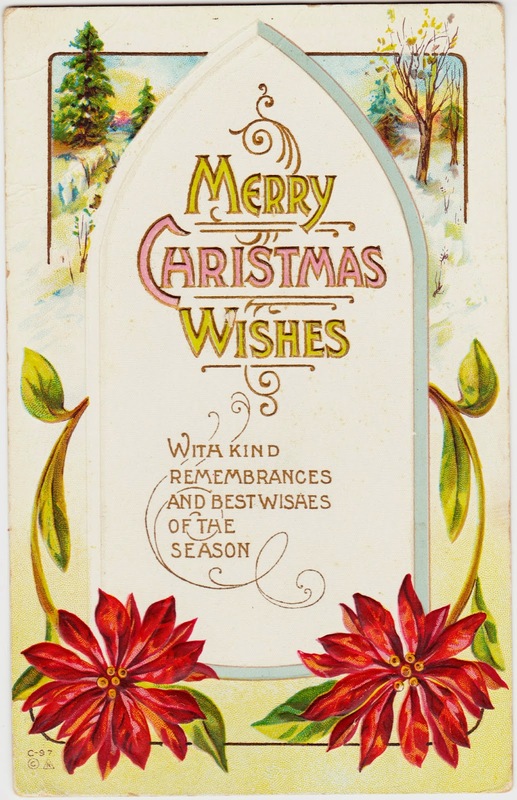 If you're a fan of Christmas ephemera of all kinds — vintage postcards, vintage greeting cards, magazine advertisements, illustrations, recipes and all sorts of nostalgic stuff — this is the place to be. You'll want to dive into the Papergreat archives, which contain more than 75 Christmas-themed posts. And they're all organized in this handy directory.